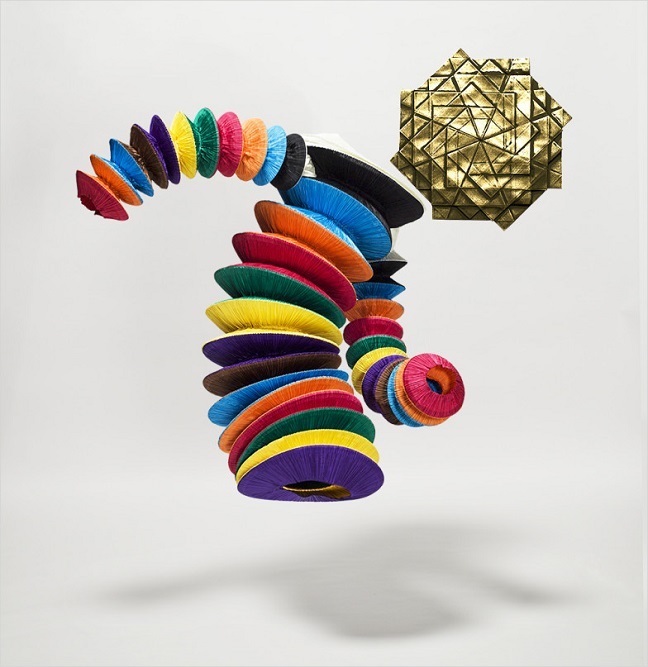 The retrospective exhibition on the work of Issey Miyake will examines more than four decades of the designer’s inspiration and innovations. Broken into three sections, the show includes both archival pieces from past collections and interactive and moving displays demonstrating how some of the clothes are made. 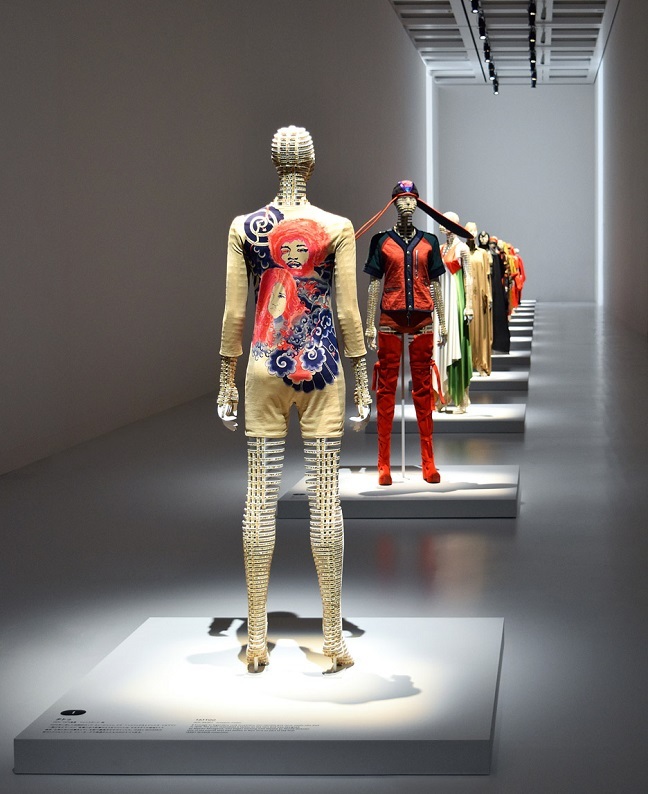 Miyake Issey exhibition aims to promise an “unprecedented” insight into the fashion designer’s career. Aged 77, Miyake is best known for his origami-like garments, technological development of textiles and unique approach to fashion. The exhibition is divided across three large rooms. In the first, Miyake’s early designs from the 1970s are presented in a long line on square podiums. 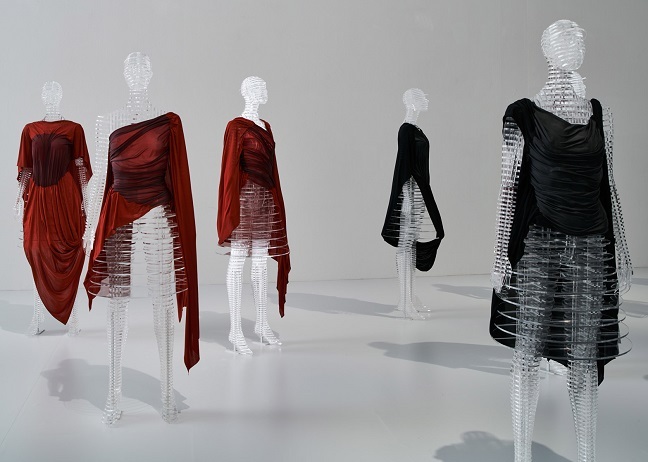 The garments presented in this section all demonstrate the designer’s idea of “a piece of cloth”, for which he aimed to transform fabric beyond recognition into wearable items. Next to his exploration of the relationship between a piece of cloth and the body, the designer persistently undertakes research and development to create clothing that combines both innovation and comfort. That is why in the second room, dedicated to Miyake‘s work from the 1980s, there is an approach that focuses on the shapes of the body. Mannequins in these two spaces were created by long-time collaborator Tokujin Yoshioka, who used cardboard figures to display the earlier clothing and transparent acrylic bodies for presenting the more futuristic garments. 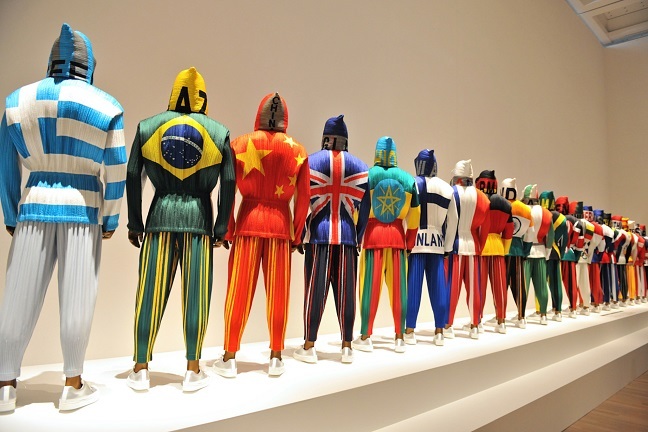 The climax of the exhibit comes in the massive third exhibition room, where Miyake’s many recurring themes and innovations in clothing construction are celebrated. While dozens of mannequins are dressed in ground-breaking looks from decades of collections, at times it is the other ways in which the clothes are presented that steal the show. A full-sized, functional machine manned by two staffers shows how Miyake’s famous pleats are created, while other displays show flat, folded garments that appear to magically take shape when placed on the body. There is also a video presentation and interactive exhibits for children.